Sensei Godan Shawnie Brown, a 5th Degree Black Belt, started Soryu Karate training in 1996 with Master Jeff Bonugli. In 1998 as a purple belt, Mrs. Brown won the Black Belt continuous sparring division at Houston’s Karate Olympics. By the end of 1998, she was ranked (NBL/SKIL) the #1 Black Belt fighter in Texas, #3 in Mexico and #5 in the U.S.A. Her dominance of Texas continued for 2 years until, in February 2000, she became pregnant with her first child. She continued to teach and train during this period. 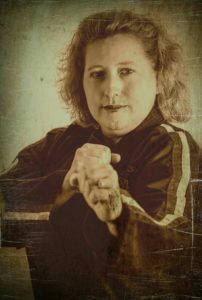 Shawnie has a passion for teaching women, children, and teens karate, self-defense, leadership, integrity, and self-confidence. Shawnie opened her first school, Alamo Family Karate in San Antonio on January 3rd, 2001. She received her 1st Dan Black Belt in February 2002 with her husband and baby girl watching and cheering her on. Most of her original students still train to this day. In November of 2003 Shawnie & her husband, Tom had another daughter and again she taught and trained throughout her pregnancy. Shawnie taught in San Antonio, Texas until June 2007 when she and her family moved to upstate New York to open her 2nd school, American Family Karate. She was inducted to the USA Martial Arts Hall of Fame in 2007 for Female Martial Artist of the Year. Shawnie has expanded her training by beginning to learn BJJ in 2016. Shawnie is very thankful to Master Bonugli for his instruction and support through the years. Shawnie continues to teach, train, and learn and received her 5th Dan Black Belt in Soryu Karate on July 10, 2017. As a dojo, she has run many free Women’s Self-Defense classes and Anti-Bullying programs. Recently they raised almost $5,000 for Kids Kicking Cancer and $1,500 for the Neighborhood Transformation Center, a local non-profit. Her students work hard training and have done very well in local and regional tournaments taking home multiple individual and team trophies. Shawnie has recently started to promote her own tournament, Twin Tiers Martial Arts Championship. The first tournament in 2018 had over 140 competitors and was very well received by the martial arts community. And the next one is scheduled for March 30, 2019. In addition to karate and family, she is a certified instructor for the NRA for the Refuse to Be A Victim Course, is active in her community as a Board Chair for a local non-profit, is the worship leader for her church where she sings and plays guitar. Shawnie also plays guitar as the leader of her own band.